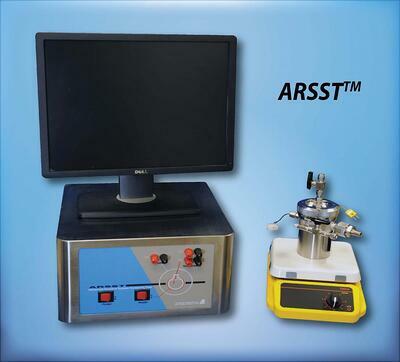 The VSP2 TM and the ARSST TM provide thermal data required for safe scale-up of chemical processes and changes to process recipes. 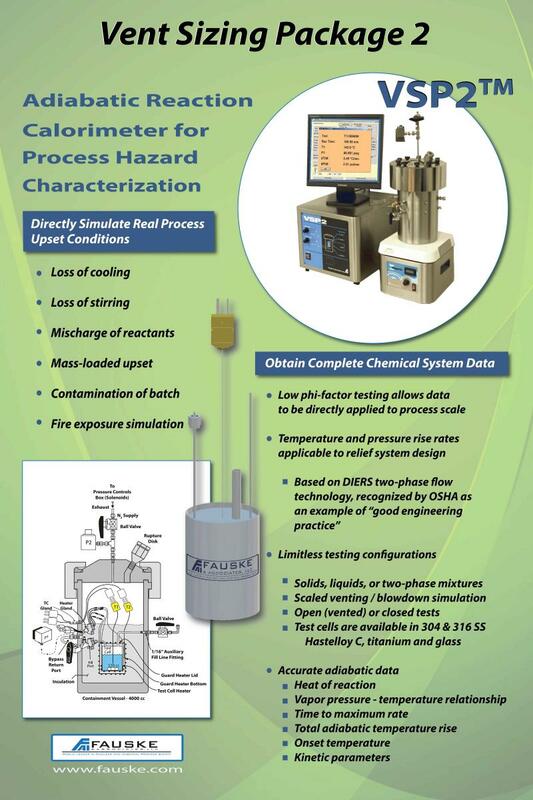 A variety of process upset conditions can be tested to quantify hazards identified by a PHA or HAZOP study. The low phi-factor (or thermal inertia) allows the heat and gas generation rates to be measured and directly applied to the process scale, which leads to appropriately designed emergency relief systems. Fauske & Associates, LLC (FAI) was the principal research contractor for the Design Institute for Emergency Relief Systems (DIERS), an extensive R&D program sponsored by 29 companies under the auspices of AIChE and completed in 1985. Company founder, Dr. Hans K. Fauske served as the principal investigator and overall leader of the DIERS research project. A primary purpose of that effort was evaluation of emergency relief vent requirements, including energy and gas release rates for systems under upset conditions and the effect of two phase flow on the emergency discharge process. The VSP2TM utilizes established DIERS technology to identify and quantify process safety hazards so they can be prevented or accommodated by process design. Test data includes adiabatic rates of temperature and pressure change which, due to the low thermal inertia, can be directly applied to process scale to determine relief vent sizes, quench tank designs and other relief system design parameters related to process safety management. 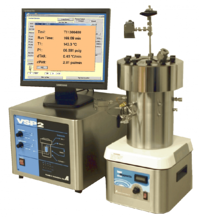 Adiabatic data obtained with the VSP2TM can be used to characterize reactive chemical and consequences that could occur due to process upset conditions. Knowledge of the prevailing flow regime during emergency venting of a runaway chemical reaction is essential in order to estimate a realistic but safe relief system design. It is not possible to predict the foaming behavior from physical properties alone. Since flow regime characterization methods for actual runaway conditions are not available, the general DIERS practice has been to design for “foamy” conditions, i.e. homogeneous vessel conditions, which is a conservative assumption. Considering that the occurrence of “foamy” versus “non-foamy” conditions is very sensitive to impurities, minute changes in concentration levels and other factors, the flow regime characterization needs to be performed under actual runaway conditions coinciding with the relief venting process. Prior to externally heating the chemical sample itself, power is supplied via an auxiliary control box to the internal heating coil to establish an elevated (baseline) sensor temperature. This baseline temperature should be well above the anticipated boiling (tempering) temperature of the sample. The detector operates on the principle that if the flow regime following the onset of boiling is non-foamy, then the detector thermocouple (TC2) will continue to measure a temperature well in excess of the sample temperature (TC1). Fauske & Associates, LLC (FAI) offers a Flow Regime Detector (FRED™) for use in conjunction with the ARSSTTM and VSP2TM calorimeters to distinguish between foamy and on-foamy runaway reactions. Relief systems for non-foamy systems may be more realistically designed by treating the two-phase discharge flow as churn-turbulent rather than homogeneous. 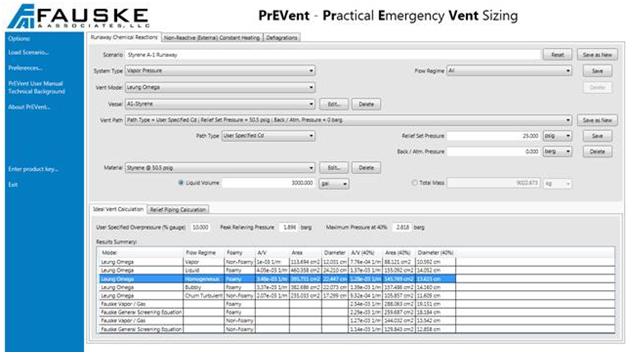 Fauske & Associates, LLC (FAI) created its PrEVent™ software to allow users to implement practical emergency vent sizing designs utilizing industry recognized methodology including the Leung Omega method, Fauske Gas/Vapor method and Fauske General Screening method. 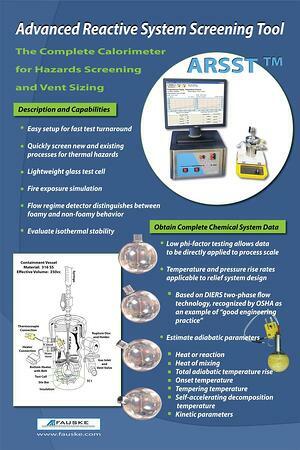 The software applies DIERS methodology for reactive chemistry and API 520/2000 or NFPA 30 for non-reactive systems. 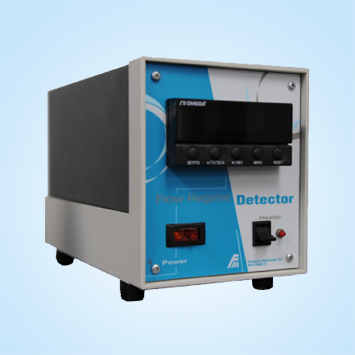 This methodology was designed in conjunction with the VSP2TM and is a great companion to any low phi factor adiabatic calorimeter. PrEVent™ handles gassy, hybrid and vapor systems for reactive scenarios and can also accommodate deflagration venting as well as fire load sizing. The modern user interface features clear navigation, logical tabs and intuitive drop down menus that take advantage of cutting edge Windows programming techniques for a crisp seamless user experience. It is available as a standalone Windows application, or as a Silverlight 4 based web application supporting a wide-range of platforms including all major browsers on both Mac OS X and Windows – Internet Explorer 6, 7, 8, Firefox 2 and 3, Safari 3 and 4 and Google Chrome. It is the latest version in a line of vent sizing code solutions designed to be quick and easy to use, requiring many fewer physical properties than other programs. Furthermore, please note that per ASTM recommendations (and some NPFA requirements); samples should be tested at a particle size less than 75 μm and less than 5% moisture. Please note that testing materials in a method not complying with the ASTM/EU recommendations may produce explosion severity and explosion sensitivity data that is not considered conservative enough for explosion mitigation design. Fauske & Associates, LLC (FAI) has been the industry leader in adiabatic calorimetry since the concept of DIERS testing was first introduced in 1985.